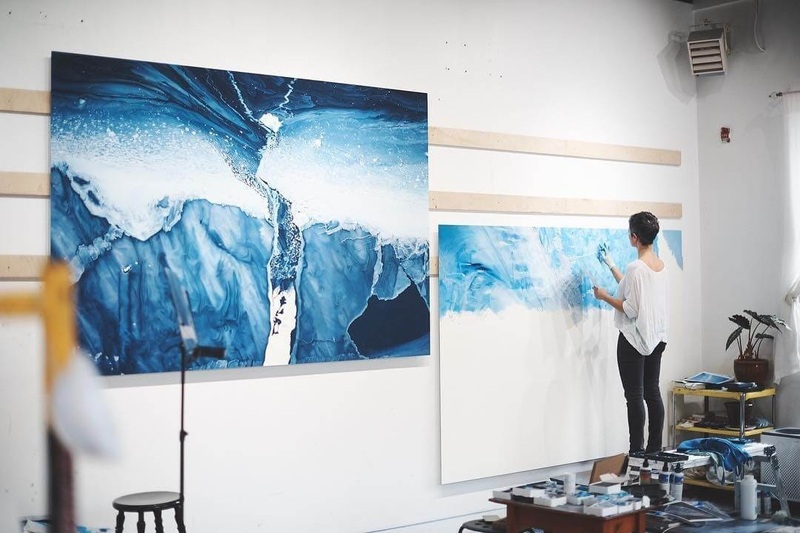 Using blue and white pastel colors, to draw snow, ice and water. 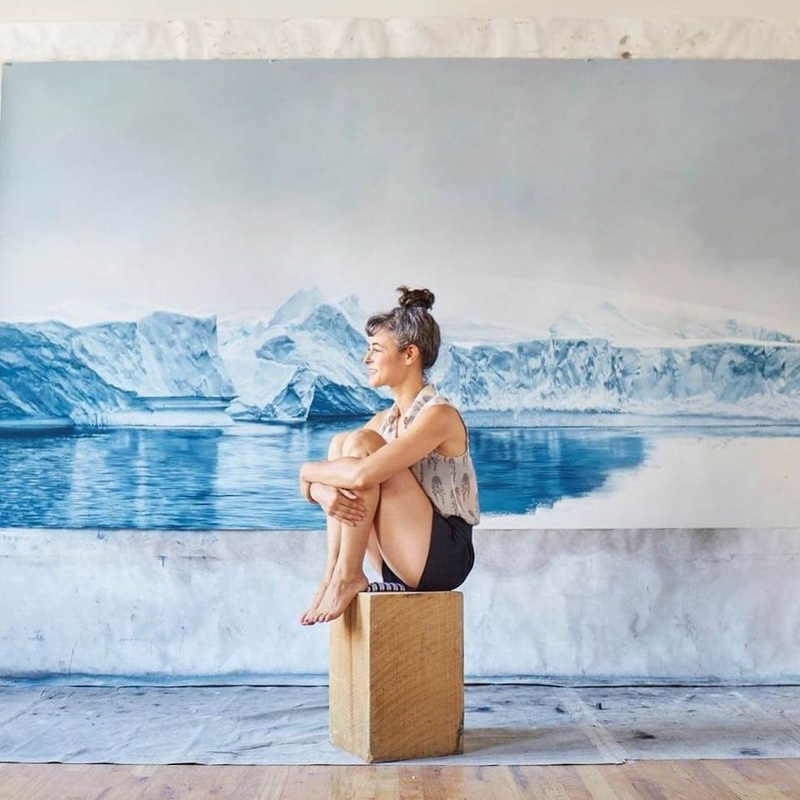 Zaria Forman puts these colors to fantastic use in all of her drawings. 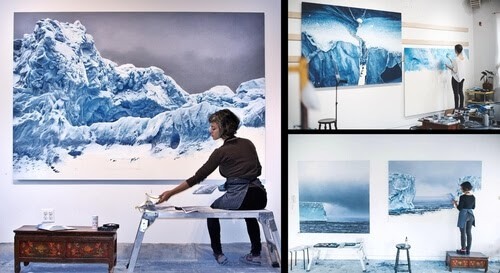 Incredibly realistic and large format, that would really make an impression, no matter which room they were displayed in. 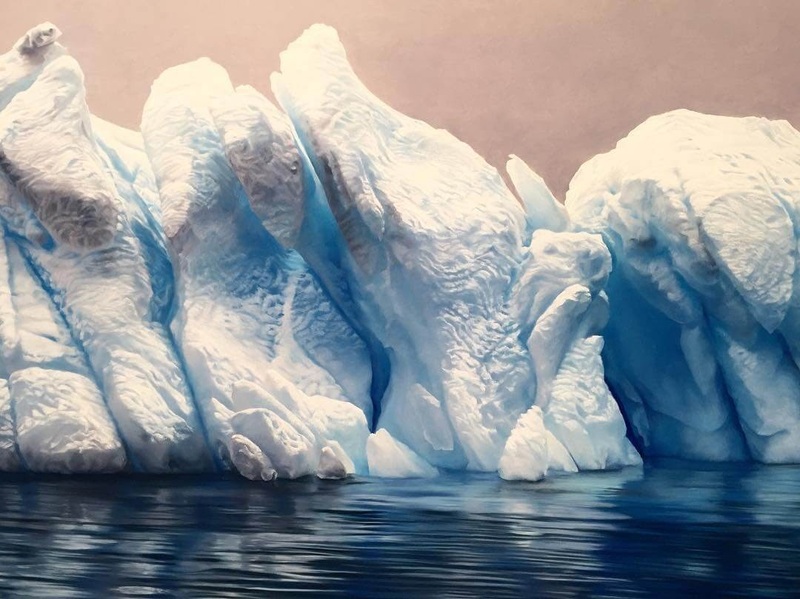 The following is a comment by Forman: "The inspiration for my drawings began in my early childhood when I traveled with my family throughout several of the worlds most remote landscapes, which became the subject of my mother's fine art photography." 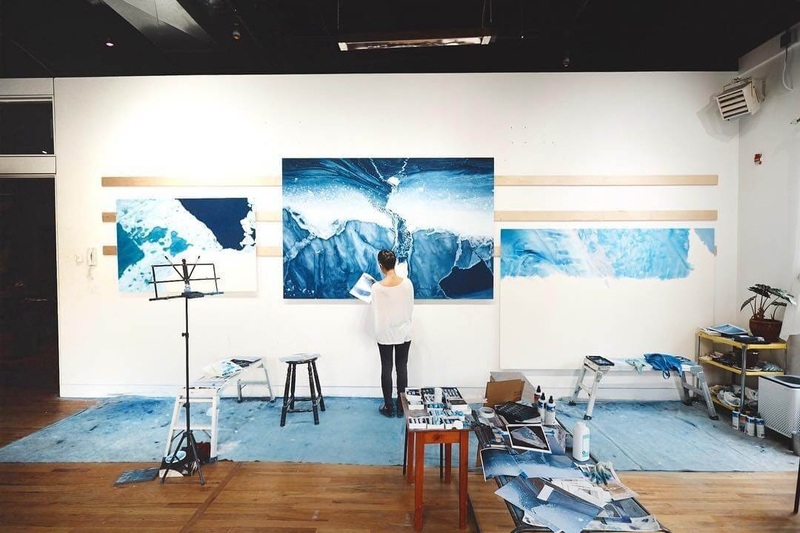 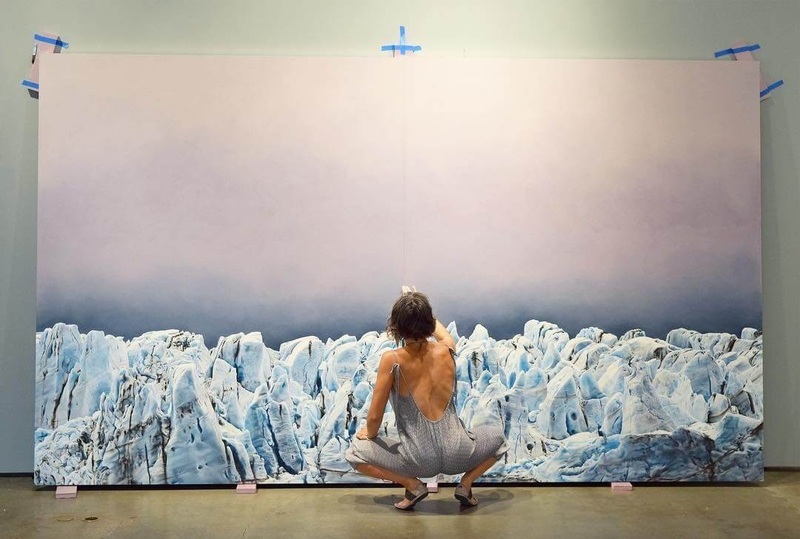 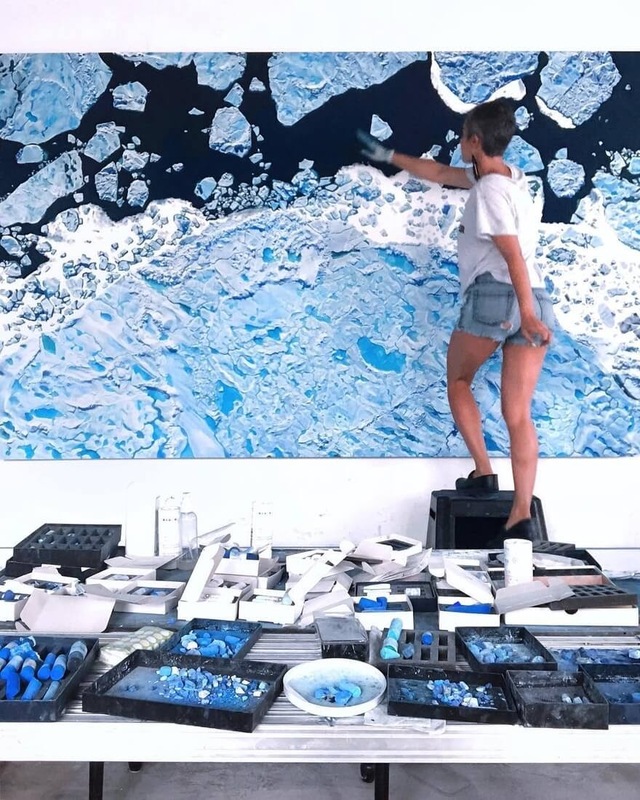 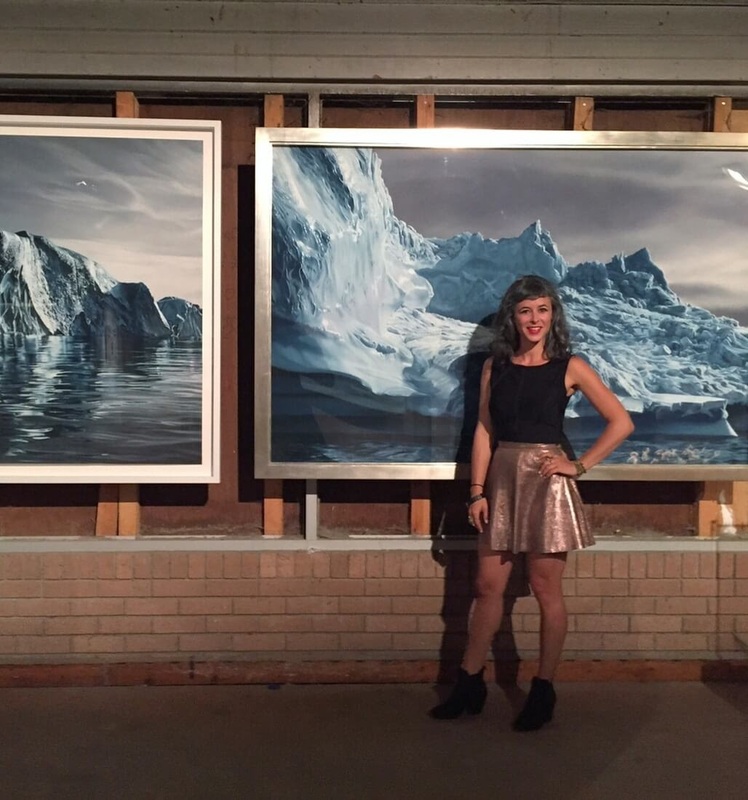 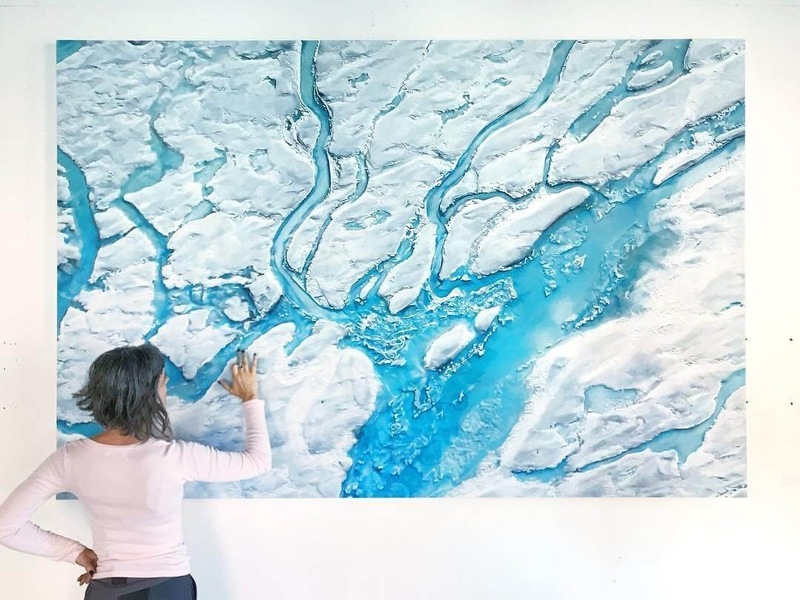 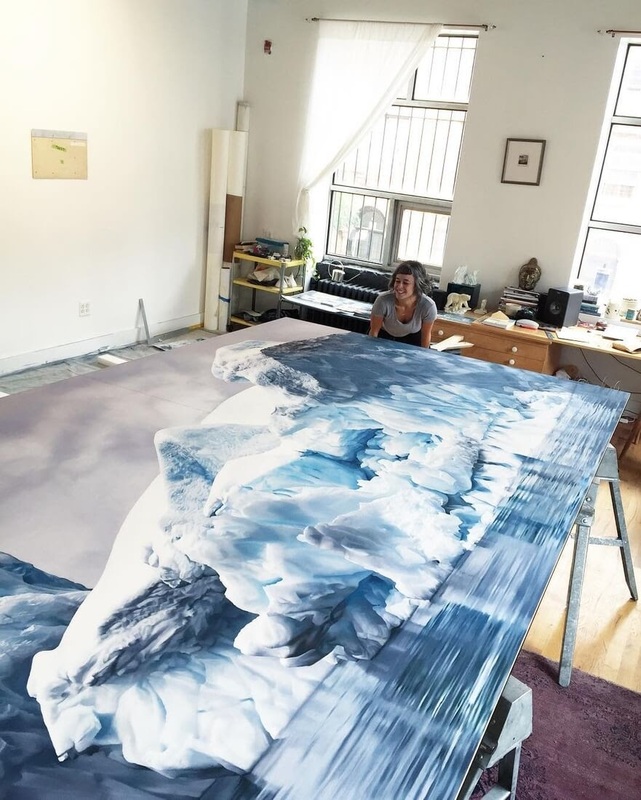 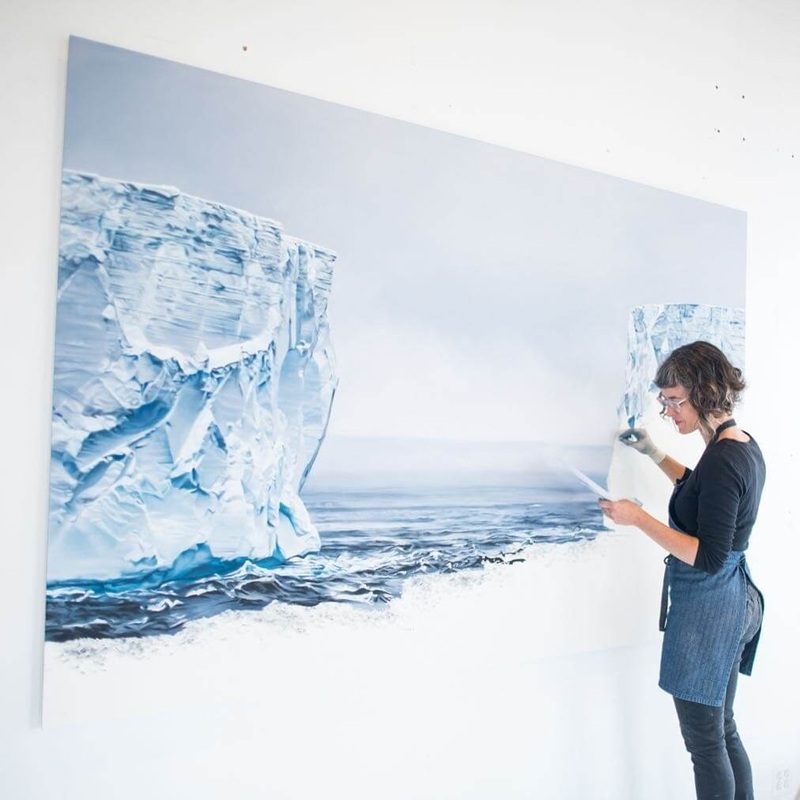 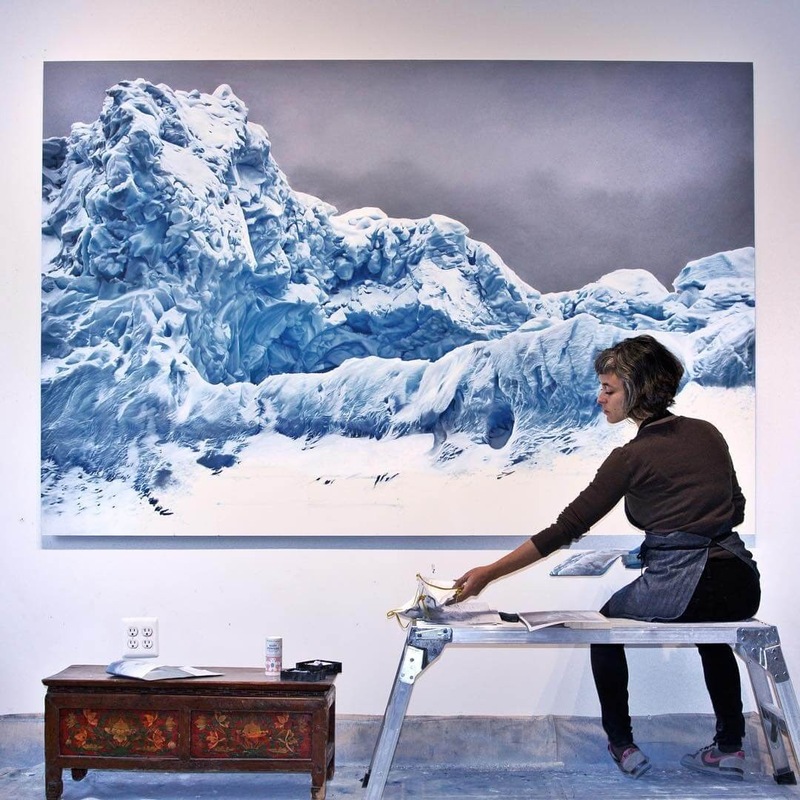 Her work is taking more of a documentary aspect, by recording the changing ice compositions at the poles. 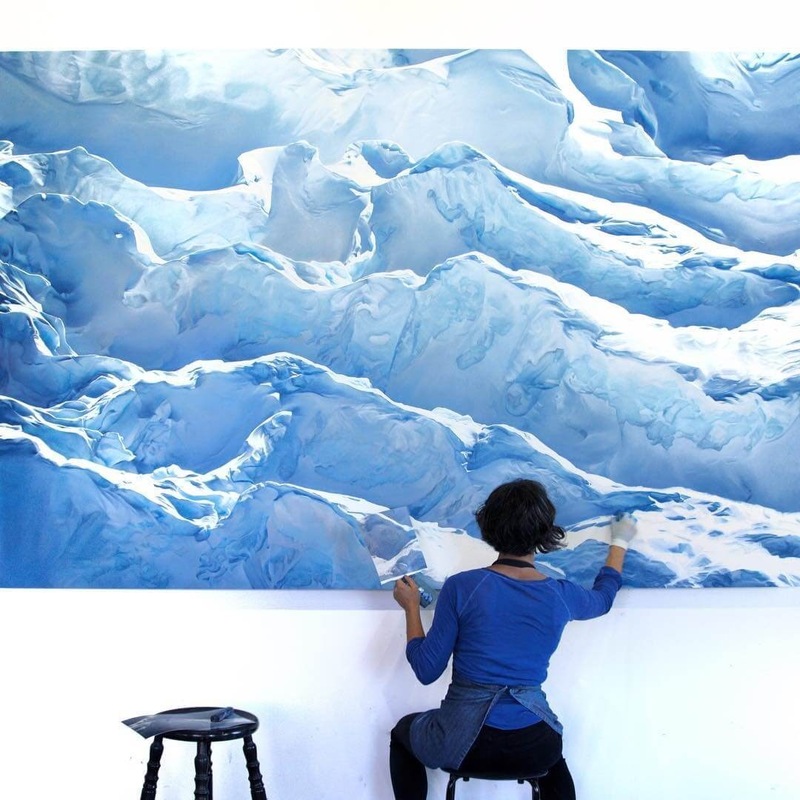 She travels to distant remote places of the world, to build up her library of images, that inspires her art. 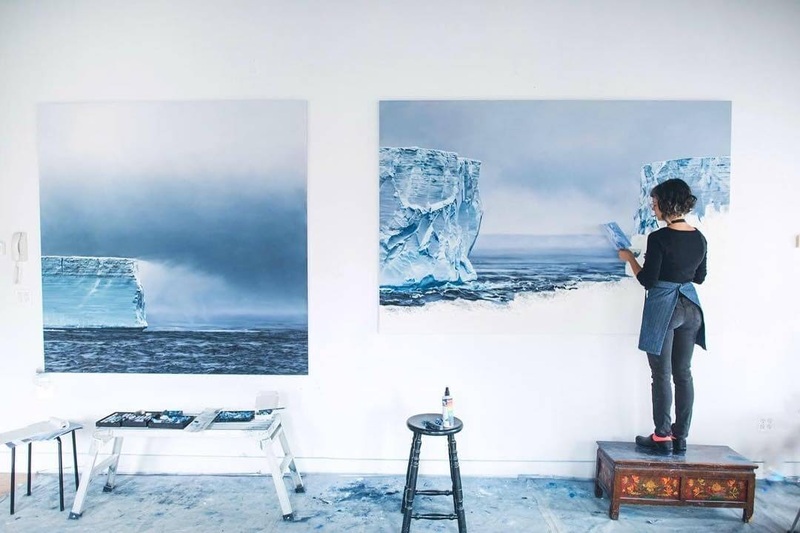 Living in a sea of ice and pastel.